It begins in the office of The Hat Creek Cattle Company of the Rio Grande. It ends as a journey into the heart of every adventurer who ever lived . . . From the author of The Last Picture Show and Texasville - here is Larry McMurtry's Pulitzer Prize winning masterpiece. A powerful, triumphant portrayal of the American West as it really was. 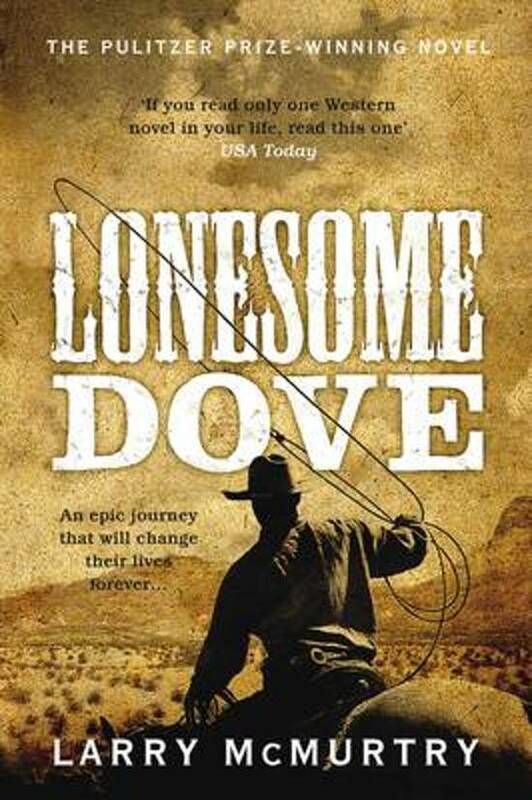 More than a love story, more than an adventure, Lonesome Dove is an epic: a monumental novel which embraces the spirit of the last defiant wilderness of America. Legend and fact, heroes and outlaws, whores and ladies, Indians and settlers - Lonesome Dove is the central, enduring American experience dramatically recreated in a magnificent story of heroism and love; of honour, loyalty and betrayal.